Air Tech Screen Products Inc.
Discount Window and Door, Inc.
Discount Window and Door is a sister company to a large production distributor of windows and doors. Using the buying power of this company we can bring the prices and resources that large home builders get to the local contractors doing remodels, additions or custom homes. Not only can we get you great prices on windows and doors, we can also supply you with all or any of the flashing, tools and trim you might need. We also offer free job site delivery on orders over $500 (within a 60 mile round trip). We have the resources to supply and provide you with everything you will need to get the job done right! 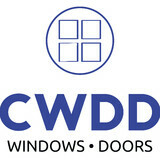 ClearChoice Windows and Doors Inc.
ClearChoice Windows and Doors, Inc., is a fully licensed and insured window and door contractor serving the Los Angeles and surrounding area. We install energy-efficient windows and doors of all types of configurations and offer financing options for qualified applicants. We guarantee our work and our dedicated team of professionals will make sure you are satisfied from start to finish. Pelican Windows is one of San Diego’s top replacement window dealers and installation service provider. 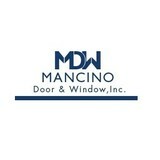 We are a full-service window company that has been serving San Diego since the early 1980’s. 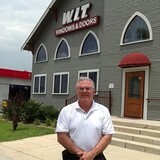 For the past 10 years our main focus has been replacement windows and doors. 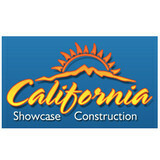 New View Remodel Inc. has been a General Contractor for over 20 years. We have re-focused our business to the newest emerging trend in the Home Improvement industry; seamlessly integrating outdoor and indoor living spaces. Our alternative to the traditional Patio Door, and our exclusive dealer agreement in OC with our flagship Window Series bring award winning, technologically superior products, to the Southern California market at affordable prices. Our flagship Windows have Disappearing Screens which dramatically enhance your view, increase the visible light into your home, while blocking out heat and cold transfer. United Builders is a family-run general contractor, specializing in window and door replacement in Southern California and the Inland Empire. Unlike our competitors, we offer special savings to our customers because our owners get personally involved in every sale. We have no commissions to pay or hefty advertising expenses. Ultimately we pass these savings along directly to our customers. What does this mean to you? A net savings of 20-50% over our competitors. Window Replacements are all completed by our experienced master carpenter with 27 years of experience. We do not hire minimum-waged installers, and our installers pay attention to the details the first time to ensure the job is done right. Enlargements and Reduction of Openings Alterations and modifications are our specialty. We can move the location of windows or doors or install a French door where a window once resided. We have the ability to reduce the size of openings and complete any drywall or stucco alterations as well. Window Replacement Specialists pride ourselves on being experts in vinyl window and door replacements. All of our windows are custom built-to-order to ensure a proper fit. From nail-on to block and retro-fit, there is no job we can't handle! Take advantage of our over 25 years of experience by getting our input on all aspects of your home improvement projects.